S. Morris Ltd is a family owned independent manufacturer of construction materials. Located in Somerset the company has been supplying high quality materials for eighty years. Specialising in the supply of Ready Mixed Concrete,Floor Screeds, Concrete Blocks , Aggregates and Asphalt in Somerset & the surrounding counties, the company is renowned for its commitment to high standards of quality and service. With local expertise in construction materials and their supply, S. Morris Ltd can offer unrivalled value for your building material requirements, supported with full product conformity and quality assurance certification. Founded in the shadow of the First World War by “Siddie Morris”, the grandfather of the current Managing Director, the company began trading as a stone haulage contractor with just a single horse and cart. The company developed throughout the Twenties with the introduction of motorised lorries and by 1930 the company began its first quarrying activities with the purchase of Tout Quarry at Charlton Adam, the site of the present Head Office. Throughout the Thirties and Forties the company expanded its quarrying and haulage activities and during the Fifties began the manufacture of ready mix concrete and precast concrete products. Further expansion occurred in the sixties with the acquisition of the limestone quarry at Gurney Slade and the formation of a new operating company, Morris & Perry Limited, to develop the quarrying activities at Gurney Slade. In the Seventies production of concrete blocks began at Charlton Adam with egg-layers and in 1983 a new static block factory was constructed to cope with demand, in 1987 a new ready-mixed concrete plant in Yeovil was constructed to replace the Chilthorne Domer plant. By the Nineties demand for S. Morris Ltd concrete blocks led to a major refit and extension of the existing block manufacturing facilities. 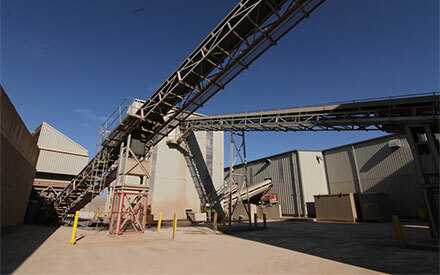 A new concrete plant at Priorswood was commissioned to provide high quality concrete for customers in the Taunton area. With the dawn of the new Millennium Morris & Perry began production of asphalt at Gurney Slade.­ Further upgrading of the concrete blockworks was carried out to improve output and quality. ISO 14001 (Environmental Management System) certification was first achieved in 1997 at Gurney Slade and later attained within all other areas of the company. 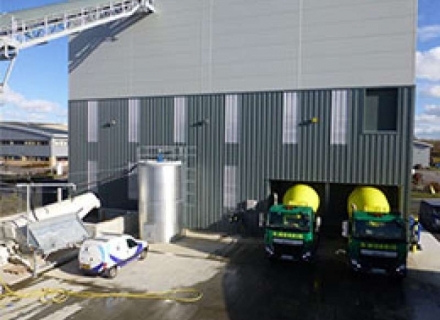 2015 saw the start of a new ready mix plant at Solstice Park, Amesbury, Wiltshire. 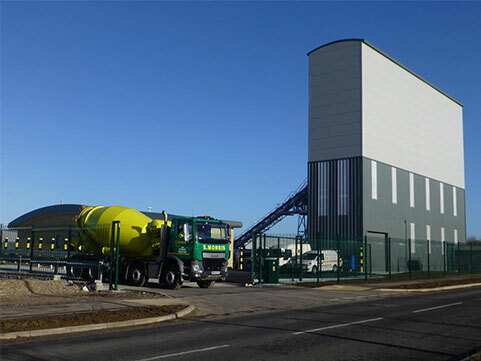 The plant will supply BSI Quality Assured Concrete into many parts of Wiltshire & Hampshire.